Happy Valentines Day everyone! I know I am a little bit late but this post relates to valentines day and I wanted to share it with you. 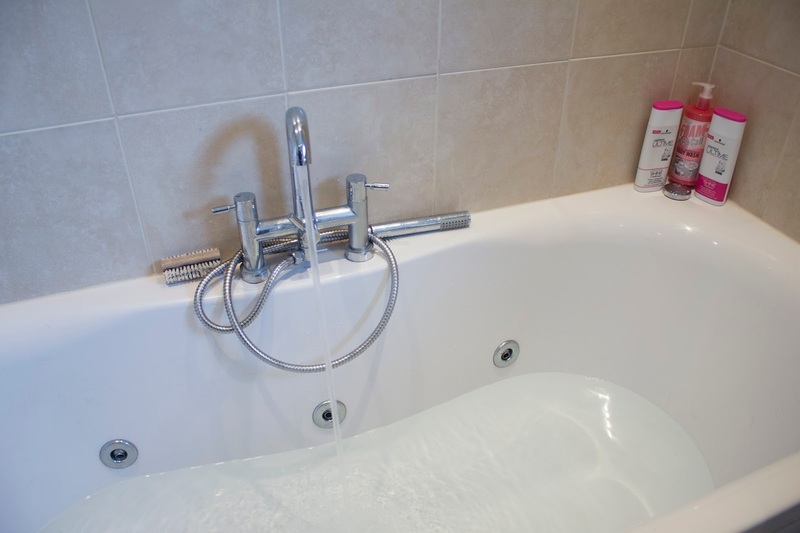 On Valentines day I started the day by treating myself to a relaxing bath and decided to use my Lush Love Locket bath bomb, which is a Valentines exclusive. This bath bomb is a lot bigger than their usual bath bombs as it has another small bath bomb hidden inside. This bath bomb was therefore slightly more expensive, but if you really wanted to you could get three bath uses out of this product. To get to the bath bomb inside all you have to do is simply crack the bath bomb in half, I would recommend doing this on a plate or surface that you do not mid getting a bit messy. Once it splits in half you can simply take out the bath bomb inside. 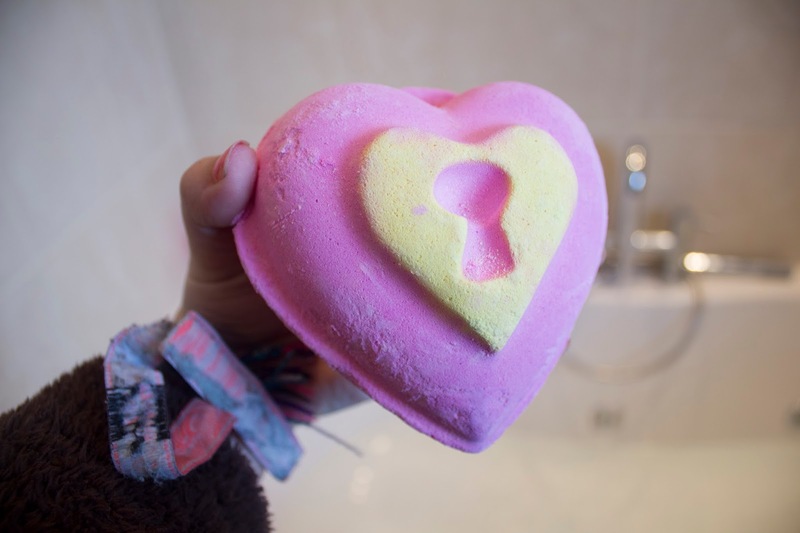 I really enjoyed using this bath bomb as it was fun and exciting finding out what was inside and it filled my bath with small little heart shaped confetti. 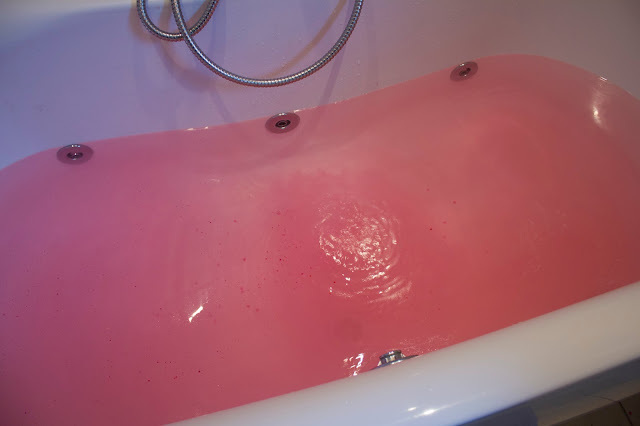 It had a strong but not too powerful floral scent and left the bath a bright pink colour, of course as it is Valentines day! 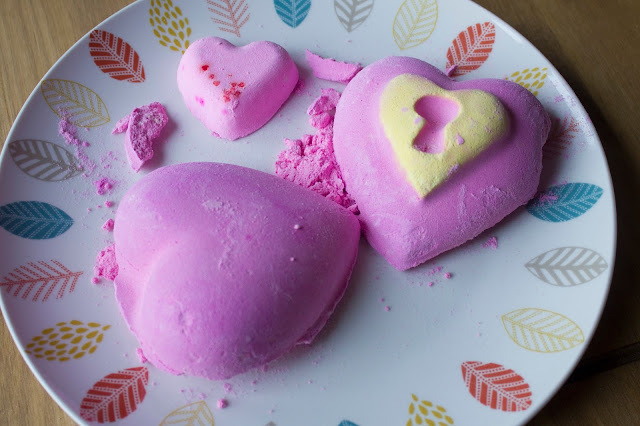 I also have uploaded a demonstration of how I split my bath bomb and what it looked like in the water on my YouTube Channel, feel free to check it out.